Come join us at Skip’s to celebrate a shared passion for Jeeps & Boots! Just a week before the official start of Jeep Beach, a Jeep only charity event held each April in Daytona Beach, Florida. Come join us at Skip’s to celebrate a shared passion for Jeeps & Boots! 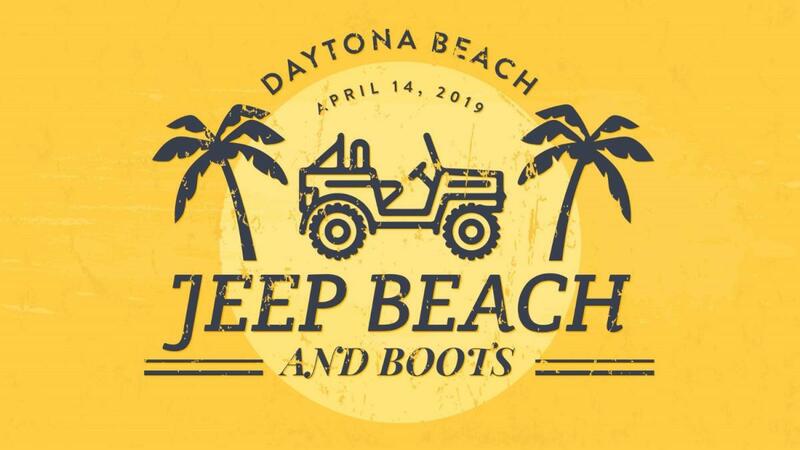 Just a week before the official start of Jeep Beach, a Jeep only charity event held each April in Daytona Beach, Florida to raise much-needed funds for worthwhile local and national charities and organizations! Register for your chance to win a custom one-of-a-kind 2019 JLU! The winner will be selected at random on Saturday, April 27, 2019! Bring the entire family outside of the World’s Largest Indoor Western City for Live Music from Diamond Dixie, an Orlando-based country duo made up of sisters Gabriela and Bianca LeDuc, free food & drinks from BIG RITCH. The Vegetable Butcher, Daytona Beach's first fully vegan catering company. Contests, so many prizes to win, and over $3000 in prizes to be given away! Arrive early for greater chances to win! Bring your family, your jeep, bring your dog, just come out for an afternoon of fun!